We recieved a service call for a problem water heater. The clients existing water heaters performance was no longer working as it should. 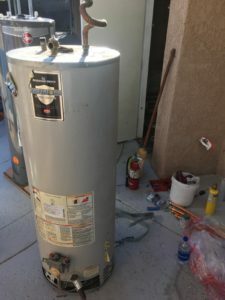 Installing a new water heater was a must. Closed quarters in an outdoor closet but we are always up for the challenge. 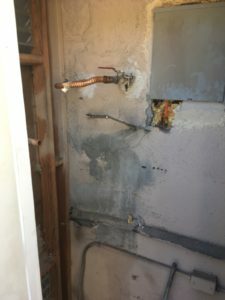 Replaced all connections to the water heater, replaced the drain valve and line as well as the gas line.